4 weeks to go and second semester will be end! phew~ holiday insight! I'm already planning where to go and I just can't wait for! last few weeks I just found new lovely place to shop and yes I do love their product, simple, lovely, and make my hands itch to buy more and more haha, sometimes I feel female was created for shopping, shopping has it's own satisfaction and regret after. Maybe not only need but now shopping is a hobby, I always think after i bought every stuff that I love "for what I bought it all" but I can't find the answer till today. Do you know the answer? Please tell me if you do. WOW! You look so gorgeous! LOVE IT. love the colors, jealous of our leggings! very cute outfit! Love it! 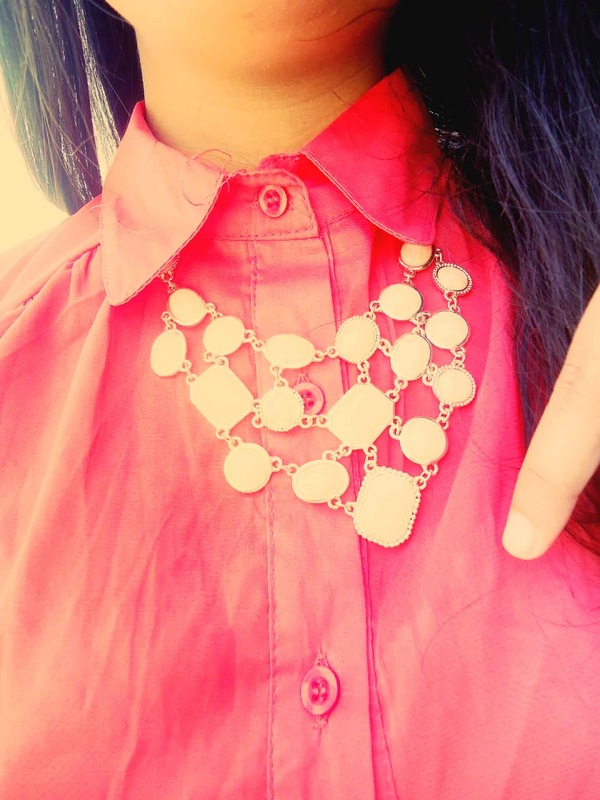 i absolutly love that top with the necklace! lovely outfit darling especially the floral pants sweetie!! lets follow each other?? cant wait to see u on my blog! Love the floral leggings and the necklace!!! aw! so gorgeous, check your email dear! 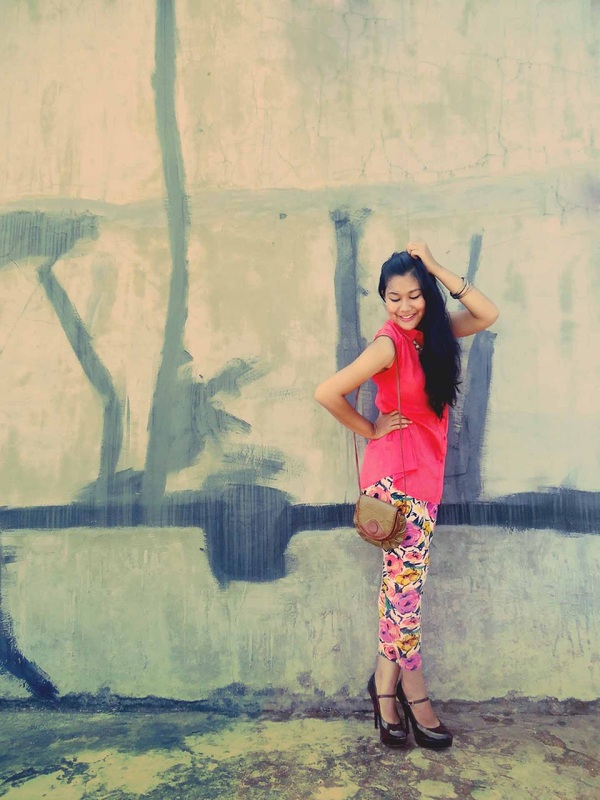 love this pants and also your blog! It's so nice!!! I follow you! Thanks a lot for your comment on my blog and for giving me the chance to discover yours, which is very enjoyable! 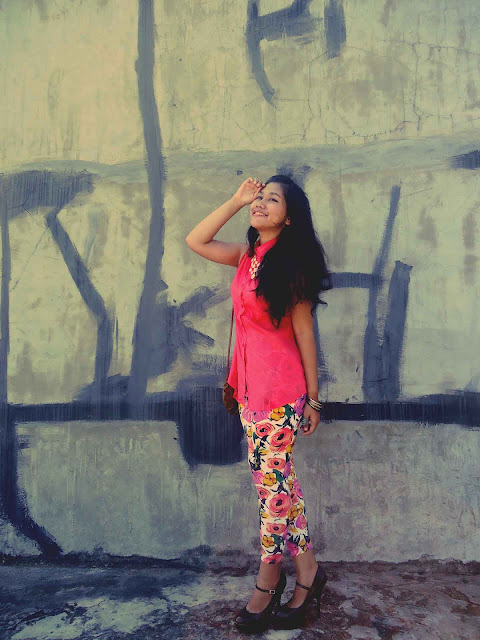 I value fashion sense and attitude, and you sure have both, girl! Keep growing that style passion! 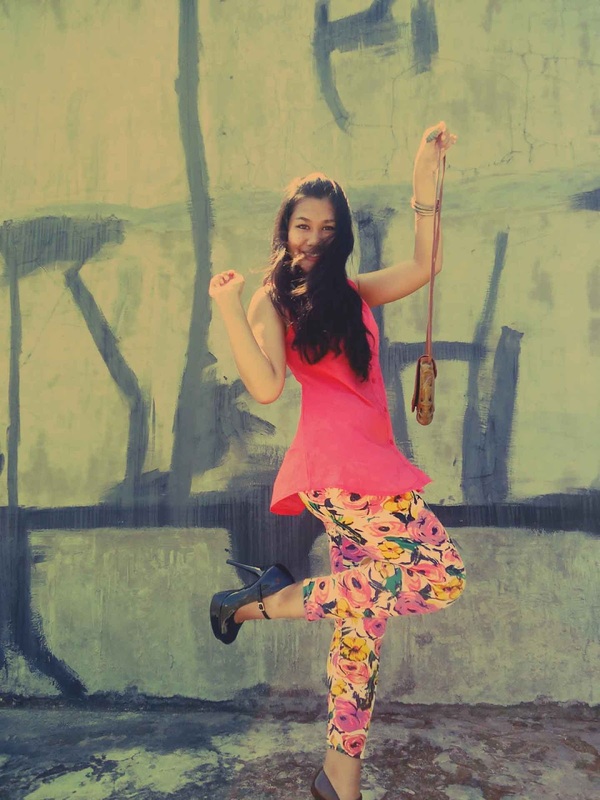 BTW, you really rock the printed leggins trend!! That's what I call stylist's smarts!! Following you now, and if you like my blog, I'll be thrilled to have you among my followers via GFC, as well! thank you for the lovely comment dear!! Wanna follow each other? omg love love LOVe this outfit! the colours and print are just amazing, and contrasts so well with the backdrop you chose! I love this bright outfit, soooooo pretty! Absolutely pretty! Love the pastel shirt and floral pants. Definitely chic style. You look amazing, I love the pants, very chic. omg i love those pants so fabulous! your pants is gorgeous. Love it! Great post: I like these pictures so much!! AAAAH! I LOVE YOUR STYLE. 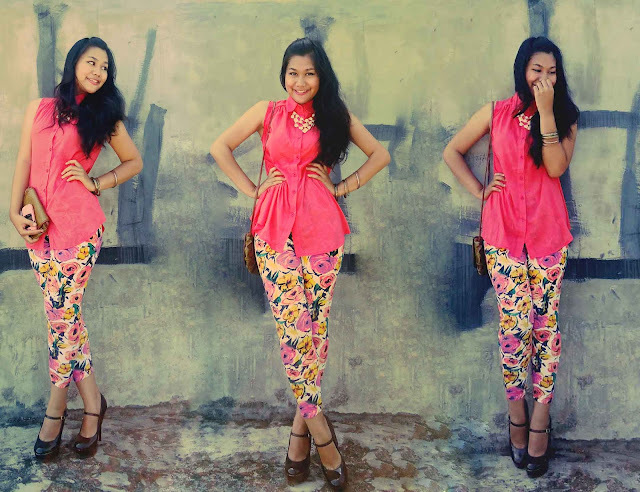 i love the combination between shocking pink top and floral pants! gorgeous <3 nice post, dear! 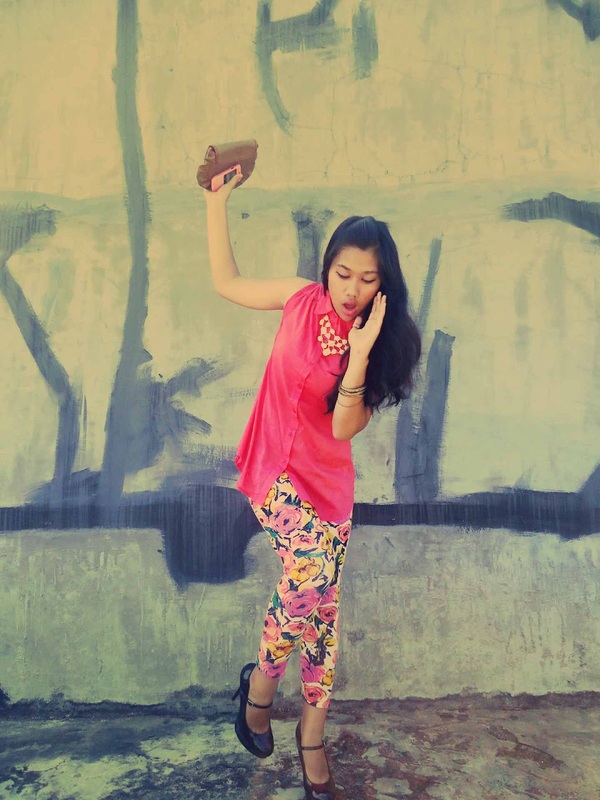 I'm in love with your style! love this outfit! So fun.. so spring/summer.. so cute!!! totally cnt wait for holiday as well! yayyy! You look Stunning, adore the pants and necklace.